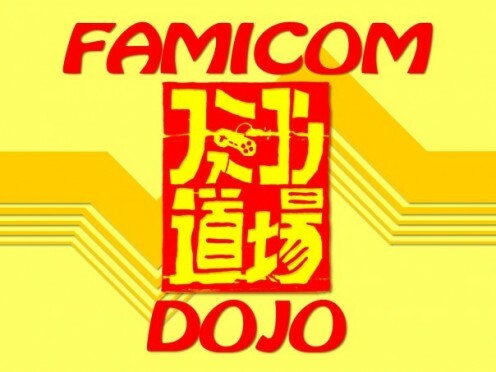 This week I received the Famicom Dojo Season 1 DVD in the mail. Famicom Dojo is a web-based TV show hosted by Vinnk from 4 color rebellion / Rising Stuff and SeanOrange from Powet.tv. 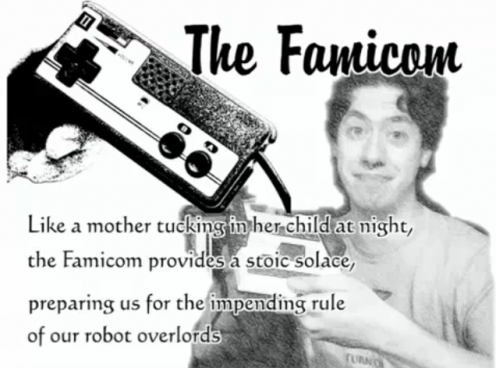 The first season of the show is loaded with information about the Nintendo Famicom as well as its various incarnations, features, and accessories. Even though I have read about this stuff online it is way more interesting to see it in action. 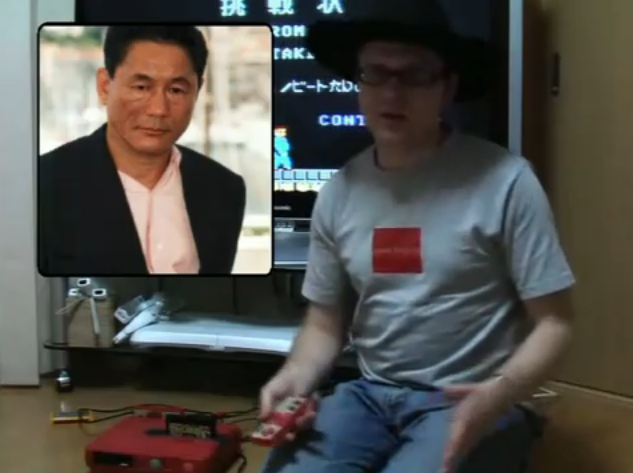 For example, both hosts give demonstrations of microphone-enabled Famicom games in episode five’s “Microphone Roundup”. Fascinating! The episodes are around eight minutes each and there are many extra videos included on the DVD. I found a few strange easter eggs as well. The music video for 1337band’s Koshudenwa (Public Telephone) is worth finding. Additional features include commentary, deleted scenes, and DVD-ROM content. As a reviewer I am often short on words so the best I can say is go check out the show for yourself. The DVD is well worth the purchase not only for the content but as a way to support Sean and Vinnk for sharing some of their video game knowledge. Stay tuned next week when I rename the site* to “Aladdin Deck Enhancer Dojo” and give more in-depth coverage of this great system. Interesting fun (possible) fact: Sean wonders in episode four why the Robot Gyro (Gyromite) cart goes backwards in the adapter. One possible explanation is that the NES carts themselves are backwards. In the original NES if you were to turn the cart vertical (end label up) the cart would indeed be facing toward the rear of the system. Could that be the reason?